Mark James Fraser (Sam), 83 of Economy was guided by angels on September 27, 2018 from his family who sat by his side during his illness. He passed in Colchester East Hants Health Centre, Truro. Born in Carrington, Cumberland County, N.S. on May 26, 1935, to the late Percy and Laura (Witter) Fraser. He grew up and went to school in Oxford, NS. He is survived by his children, Carl, Halls Harbour, Kim (Chuck) Fraser-Faulkner, Bedford, Cindy (Fraser) Fraser-Cox, Bass River, Ralph “Bub” (Karen), Economy; grandchildren, William, Jenny, Ben, Hillary and Mackenzie; brothers, Gerald and Ralph; sister, Lois. Along with his parents, he was predeceased by his sister, Brenda. Mark worked in the woods, drove a transfer truck, operated a snowmobile sales and service business and was later employed with Dexter Construction from where he retired. 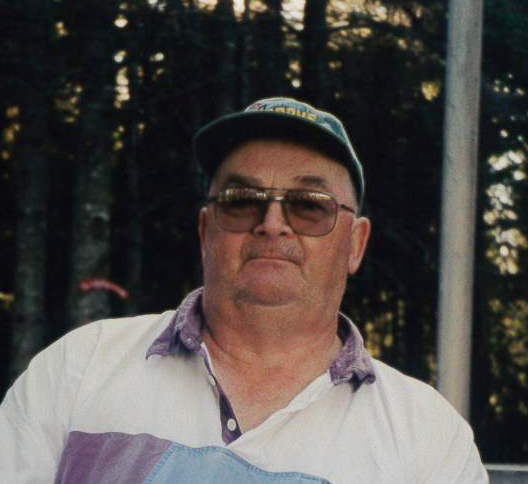 He enjoyed snowmobiling, ATV’ing, hunting, splitting wood, making maple syrup, gardening, pickling, and inviting his friends and family over for a yearly hodge-podge feast. He always looked forward to spending holidays with family having a large turkey dinner with all the trimmings. A special thanks to his VON workers with whom he shared his stories and home remedies. Not only did he receive excellent care but, enjoyed great conversations and friendships.